Slip into our luxurious new lounge pant and you'll see why they're so special. Knitted in a sumptuous lambswool that is spun in the Yorkshire Pennines, the subtle marl of the wool lends this trouser a beautiful marbled finish. The slouchy, straight leg, ribbed waistband and flat knitted draw cord are all designed with optimum comfort in mind. 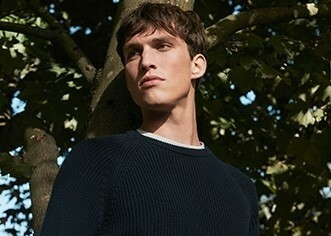 Wear with our classic T-Shirt and the matching lambswool sweatshirt for the ultimate downtime uniform.